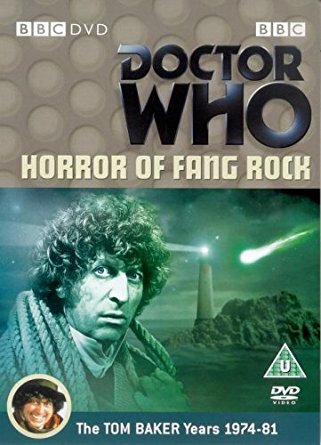 Doctor Who at the time of ‘Horror of Fang Rock’ was seemingly an indomitable force, churning out genuine classics with alarming regularity. After closing out the previous season with the likes of ‘The Robots of Death’ and ‘The Talons of Weng-Chiang,’ the travels of the Fourth Doctor and Leela continue with the story that perhaps best epitomizes the gothic horror that encapsulates the tenure of Philip Hinchcliffe as producer, even as that mantle is taken up by Graham Williams. Actually, the basic premise of ‘Horror of Fang Rock’ is incredibly straightforward, strictly adhering to the trusted template of having the Doctor and his companion arrive in a mysterious location, only to get caught up in otherworldly events that soon threaten all of those around them. With the story confined to a small lighthouse, though, director Paddy Russell is able to create a startling sense of tension and claustrophobia, and the supporting characters are rather more well-rounded than is usual, creating a genuine sense of empathy during the strange goings-on. Tom Baker is, as usual, at his enigmatic and charming best as the Doctor slowly uncovers the alien truth, but ‘Horror of Fang Rock’ also puts an incredible focus on Leela, a companion completely able to take care of herself without relying on the Doctor and unafraid of trekking out by herself to hunt down the mysterious presence stalking them in the shadows. Even without the script necessarily showing off her fierce intelligence, Leela continues to encapsulate the strong female presence that the Fourth Doctor era regularly brings to the forefront. As effective as the confined setting within the lighthouse is, though, the atmosphere created from events outside of the lighthouse also adds tremendously to the overall effect. The local legend of the Beast of Fang Rock looms large as heavy fog suddenly rolls in, the temperature quickly plummets, dead fish appear in the sea, and a strange green glow begins to manifest. The introduction of the shape-shifting Rutan and the crashed spaceship work incredibly well, but tying that presence into local superstition is a masterstroke that pays remarkable dividends as the locals become consumed with the notion of karma acting on sins and guilt. Finally seeing the other half of the eternal Sontaran conflict as the Rutan reveals its true form is surprising, but the shape-shifting abilities supported by an obvious intelligence capable of deep and meaningful discussions about war make the Rutans yet another successful presence within the Doctor Who universe, one begging for further exploration. Although ‘Horror of Fang Rock’ is hardly revolutionary, it perfectly encapsulates everything that makes the early Tom Baker years so fondly remembered. The BBC again excels with its period set design, and the actors and director help to bring out an immensely tense tale dripping in atmosphere. Even as the change in producer signifies an oncoming tonal shift, ‘Horror of Fang Rock’ is unquestionably one of the finest examples of the gothic horror genre so prominent at the time, starting another season of tales off on an exceedingly strong note while superbly introducing another classic foe.